The staff at Randy Burkett Lighting Design have a wide range of backgrounds and history, working together to leverage their diverse skill sets. 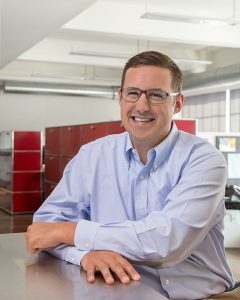 Randy Burkett is the President and Design Principal of Randy Burkett Lighting Design, Inc. As Principal he establishes design direction and oversees the management of the firm’s projects. Since he began professional practice, he has been responsible for the lighting of numerous national and international commissions. His diverse portfolio comprises museums, retail malls and stores, corporate headquarters, offices, health care and laboratory facilities, urban parks, site developments and building exteriors. Before establishing his own firm in 1988, he was Director of Lighting Design at Hellmuth, Obata and Kassabaum. Randy is an active member of the International Association of Lighting Designers and is a past President and former Board member of the organization. He is engaged in Illuminating Engineering Society Technical and Design committees including the Color Metric Task Force, Quality of the Visual Environment, and Lighting for Outdoor Public Spaces. He has authored design and technical articles appearing in publications in over 40 countries. 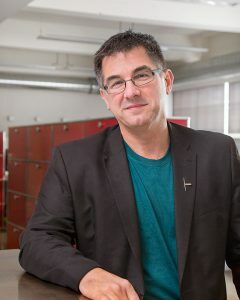 He is a frequent speaker to professional organizations on a variety of lighting design subjects and has served as an instructor at the University of Colorado in Boulder and Maryville University in St. Louis. He is currently a member of the Adjunct Faculty of Washington University’s Graduate School of Architecture. Ron Kurtz has been with Randy Burkett Lighting Design since 1990. Ron’s responsibilities as the Senior Lighting Designer and Project Manager include the development of conceptual design which involves the determination of both aesthetic and technical requirements, the preparation of contract documents and specifications, as well as construction phase coordination and field observation. His lighting design experience includes three years with Grenald Associates, Ltd. in Philadelphia and Washington, D.C. Ron has been responsible for the design of large public spaces and lobbies, hospitality and conference facilities, office environments, exterior landscape and building floodlighting, themed entertainment parks, casinos and exhibits. 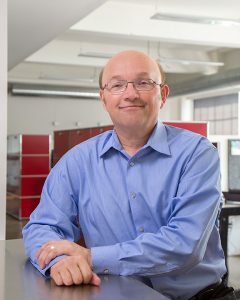 Ron is an active member of the International Association of Lighting Designers, currently serving on the Board of Directors and is a LEED Accredited Professional. He is also involved in the IESNA on both a local and national level, participating on the Energy Management Committee and was a member of ASHRAE’s 90.1 Energy Standards Committee from 2001 to 2011. He has been a speaker on a number of lighting topics at professional and educational conferences. 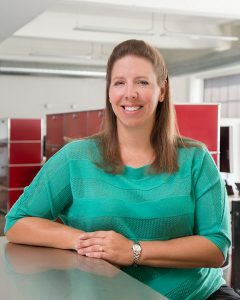 Susan has been with Randy Burkett Lighting Design, Inc. since 1998. As one of the firm’s most experienced designers, she is responsible for design concept development and project management. Susan holds a degree in Interior Design from Maryville University joining the firm at graduation. 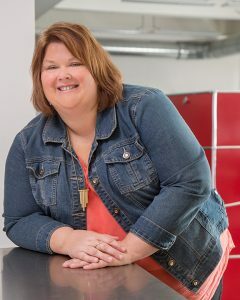 She has been a part of the lighting design team on a wide range of successful projects including: the Gateway Arch in Saint Louis; Bearden Park in Charlotte; Citygarden in Saint Louis; Hyatt Regency St. Louis; Chihuly at the Garden; Lumiere Place in Saint Louis; and various Bass Pro Shops locations. Richard Fisher is a Designer with Randy Burkett Lighting Design, Inc. serving as a project level designer and project manager. His responsibilities include the development and documentation of lighting and lighting control system designs, preparation and coordination of contract documents and specifications, as well as construction phase management and field observation. He performed similar duties for three and a half years in a multi-disciplinary role within the performance venue and lighting design groups for the New York office of ARUP. Rich’s lighting project experience includes design for museums, architectural exhibits, hospitality, commercial and public spaces, infrastructure, landscape, exterior building illumination, and performance spaces. Outside the office, Rich is the Regional Coordinator for the St. Louis area membership of the International Association of Lighting Designers (IALD). His volunteer work includes serving as an organizing board member and producer of ‘Grub and Groove’, a one-day festival benefiting the non-profit Friends of Francis Park in St. Louis. In the fall of 2018, he was a member of Focus St. Louis’ Emerging Leaders cohort, completing the program and continuing his engagement within the larger St. Louis community. Vickie joined Randy Burkett Lighting Design, Inc. in 1995. She has principal responsibility for the Firm’s office management, billing, collections, marketing and various others tasks. Since beginning her time with Randy Burkett Lighting Design, Inc., Vickie was Chair of Canstruction St. Louis for 6 years. In her personal time she is passionate about charity work where she’s spent a lot of time with the Ronald McDonald House Charities as well as spending time with her family and traveling.